The one-of-a-kind DREAM BIG: Anything is Possible library cards were designed by renowned Seattle artist Keegan Hall, whose celebrated photo-realistic drawings of sports, entertainment and public figures – ranging from former president Barack Obama and first lady Michelle Obama, to hip-hop musical duo Macklemore & Ryan Lewis, to current and former Seattle professional athletes including Ken Griffey, Jr., Sue Bird, Gary Payton, Kam Chancellor and of course Russell Wilson – have earned Hall widespread acclaim. 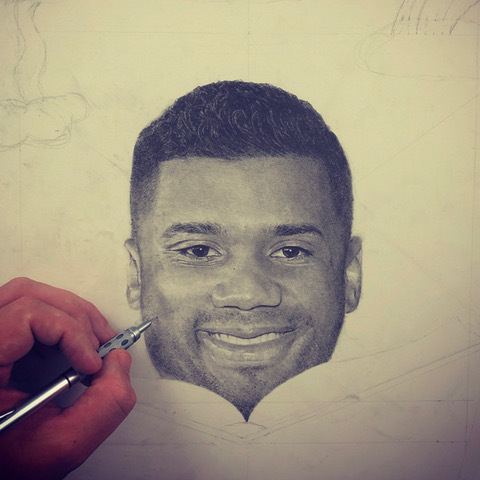 With the limited-edition KCLS library cards, Hall combines highly detailed black-and-white pencil drawings of Ciara and Russell Wilson with vivid dream-inspired digital color imagery floating in clouds symbolic of the campaign theme, DREAM BIG: Anything is Possible. The digital elements of the card were created by digitally drawing thousands of individual triangles (a reference to Russell’s #3) and then coloring each triangle in one at a time. Imagery incorporated in both cards include a mountain, representative of reaching for the top and achieving the ultimate goal whatever that happens to be for each person; a crown which signifies that we all can be the king and queen of our own stage; a monster, to acknowledge that “dreaming big” can at times be scary, but we must face those fears in order to be successful; and a rainbow which illustrates the power of positivity and the importance of surrounding yourself with people who support and inspire you to follow your dreams. The Russell Wilson card includes a beanstalk, representing the long journey often required to achieve one’s goals; a graduation cap, highlighting the important role of education (and Wilson’s two degrees) in achieving your dreams; and the Lombardi Trophy, symbolizing achievement of a significant personal goal. 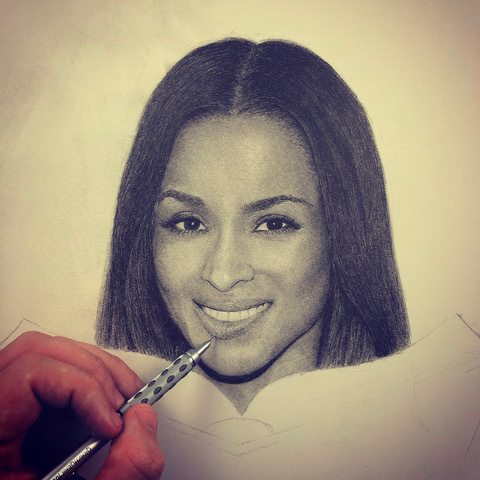 Similarly, Ciara’s card imagery includes a heart, highlighting the role that love and compassion play in achieving true success; a globe, representing the global impact potential of each child (and the travels she experienced growing up in a military family); and a GRAMMY Award, symbolizing achievement of a significant personal goal. The individual cards are designed to be separate, but when placed side by side the cards fit together like two pieces of a puzzle. Use the arrows to scroll through images of the design process.